Ooh! We love it when Canadian Tuxedos lead us to new music. Today we found this DOPE Canadian Tux on The Ruffled Feathers website. 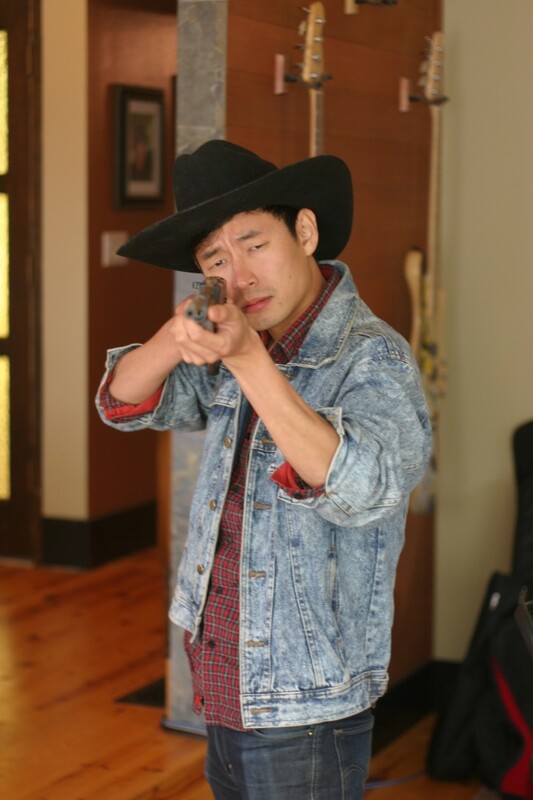 Pictured below in this, um, menacing image is mandolin player Charley Wu. Click here to listen to the quirky tunes by The Ruffled Feathers. This entry was posted on Monday, August 8th, 2011 at 2:59 pm	and tagged with bands, Canada, Canadian, Canadian Tuxedo, Charley Wu, Denim, Fashion, Music, The Ruffled Feathers and posted in Music. You can follow any responses to this entry through the RSS 2.0 feed. « Spotted: Canadian Tuxedo in Portland!